In addition to my travel up to Maine in June, I participated in two plein air festivals this summer. This was the first summer I have done this many "away" events in a long time but now that my daughter is getting a little older I felt like the time was right to give them a shot. 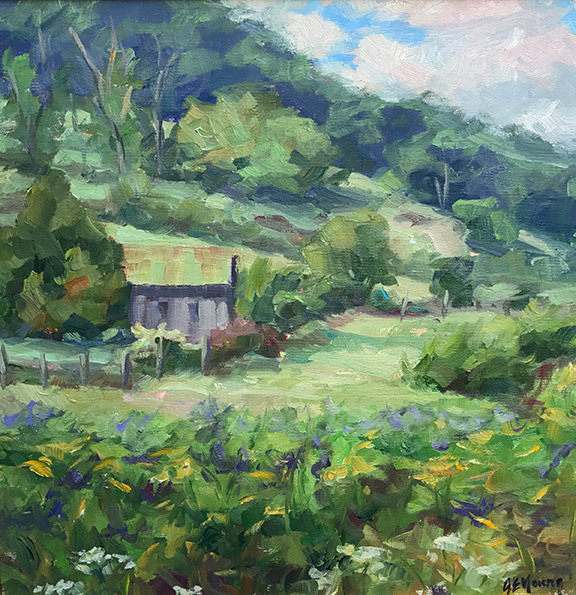 The first was Floyd Plein Air, which took place in and around Floyd, Virginia in August. I had fully intended to live blog during this event, but I had zero internet or GPS anywhere in Floyd (not a great look for me, but somehow I survived ;-) ) I participated in the inaugural event for this festival a couple of years ago, under the name of "Plein Air Crush". This time around the festival was extended from a long weekend to an entire week. The weather was much better this time, which meant my paintings weren't covered in a layer of fine dirt like they were the first time around. 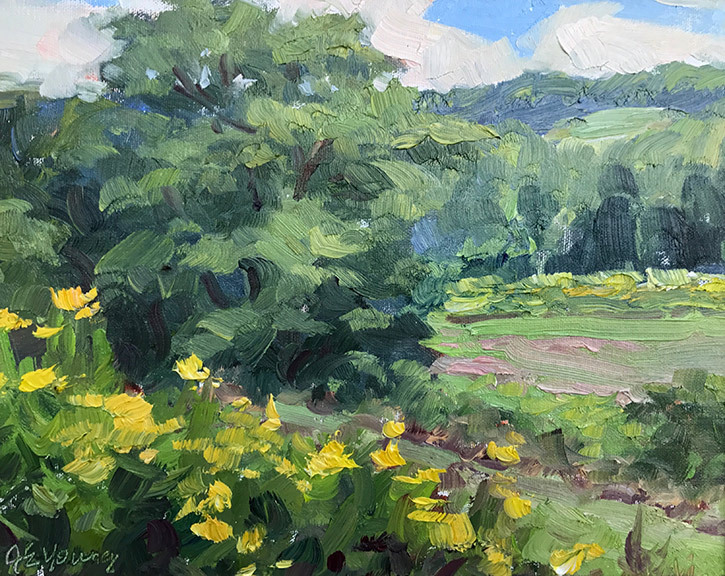 Floyd is was a truly scenic venue for a plein air event, organized by the Floyd Center for the Arts. I met a lot of very fine painters during the event, but I found it to be equal parts congenial and competitive. Congenial because I really admired and respected the participating artists who took part in the event, but competitive because there was definitely a competition aspect (judges and awards given) which always adds a layer of stress ( at least for me) to the experience. 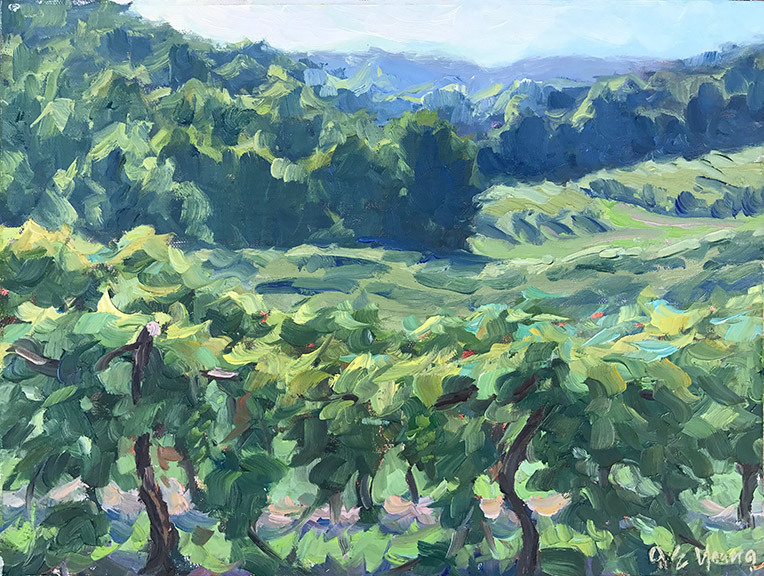 "Little River at Riverstone Farm"